The Supreme Court will hear the case on Monday to determine the future of President Obama’s Executive Action providing legal safety to millions of immigrants, and its decision will have a profound impact on millions of our students. 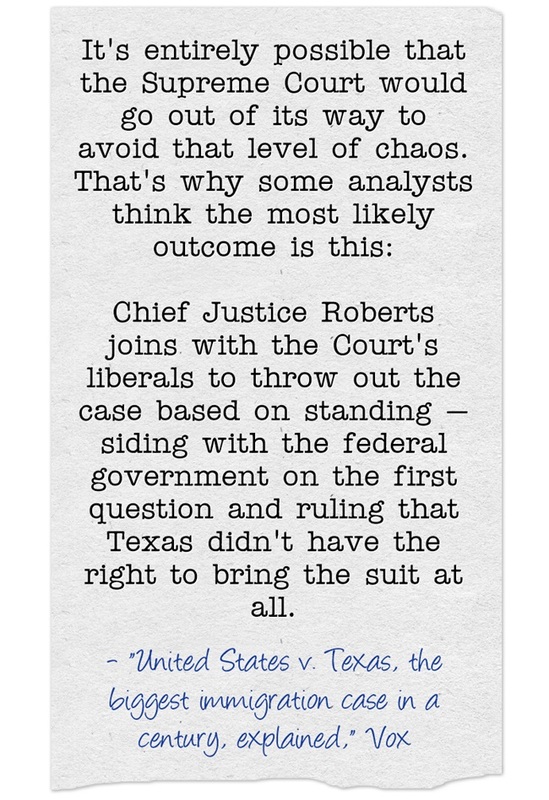 If you’re going to read anything about the case, and it seems to me that it makes sense for lots of teachers to do just that, you can start – and end – with this fabulous Vox “Explainer” headlined United States v. Texas, the biggest immigration case in a century, explained. I’ve read a lot on the issue (see The Best Resources On President Obama’s Executive Order On Immigration) and, believe me, as far as I can tell there is nothing better out there.